The ‘ursus adulans ad dormiendum’ is made of fabric, thread and a bit of plastic. But 95% of this ‘ursus’ is plush! You know the ‘ursus’ better as a 'teddy bear' or 'cuddly toy'. Children love their stuffed animals, which are a great comfort to them if the youngsters are sad or scared. 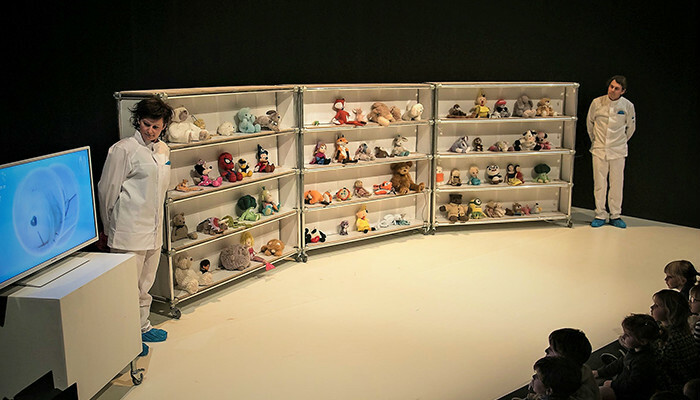 Is it possible that the stuffed animals are really alive? 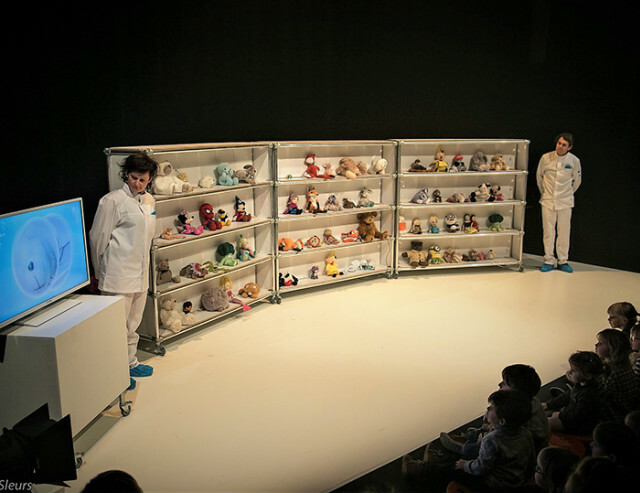 ‘Pluche' is a show about consolation, being happy, being together, feeling safe, but especially about the imagination.